AURELIO SALON IS Hiring for our Howell Location! We are currently hiring salon professionals for employment. We are always looking for talented individuals to join us. Aurelio Salon is a full-service beauty salon dedicated to consistently providing high customer satisfaction by rendering excellent service, quality products, and furnishing an enjoyable atmosphere. Our commitment to excellence is on going. Constant And Never-ending Improvement is our goal. We maintain a friendly, fair, and creative work environment, which respects diversity, ideas, and hard work. We are here to support you and help you grow. It is through these beliefs that a successful career may await you with our company. If you’d like to become part of our fun and exciting family, we invite you to stop in and fill out a application or email us at resume@aureliosalon.com and include your resume with a cover letter. Find out more information about us in our video and picture galleries. 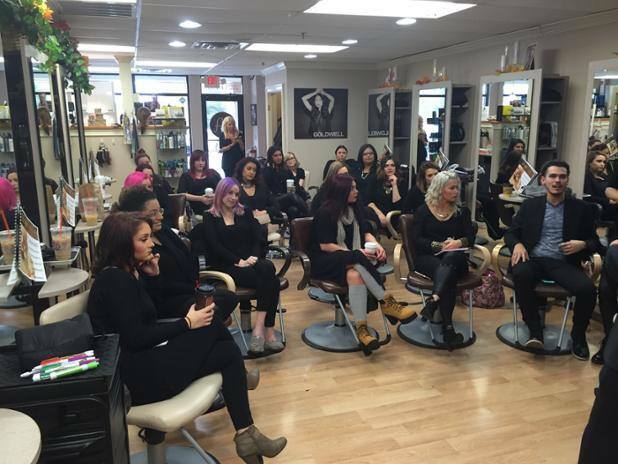 Read about industry news and trends on our blog or what’s new at Aurelio Salon including events and rewards customer can receive Give the gift of beauty to Aurelio Salon (Voted New Jerseys Best Salon*). Call Aurelio Salon in Howell, NJ at 732-303-0052 or 732-551-2930 in Toms River, New Jersey for more information about the employment opportunities available.